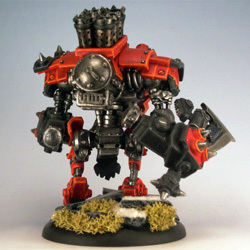 Karchev without the silly skirt. 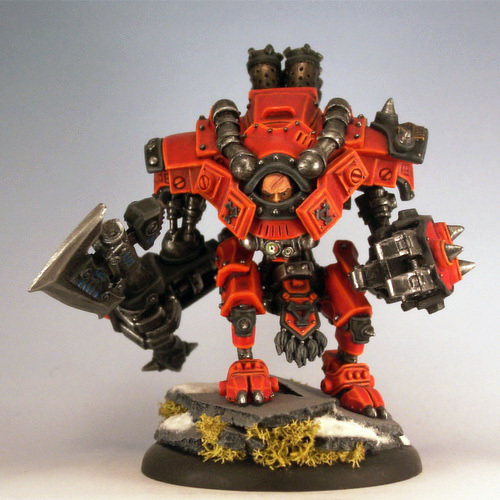 Karchev is the man in the machine, a warcaster with the body of a warjack and a heart of fury. 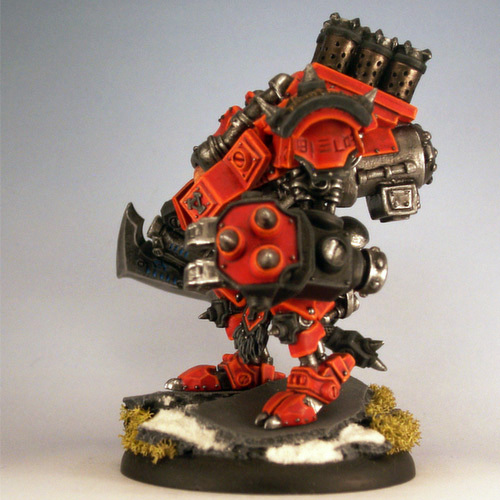 This Khadoran patriot drives his battlegroup forward relentlessly to crush the enemies of his beloved Motherland. Few are those that can withstand the sheer brutality of his assault. 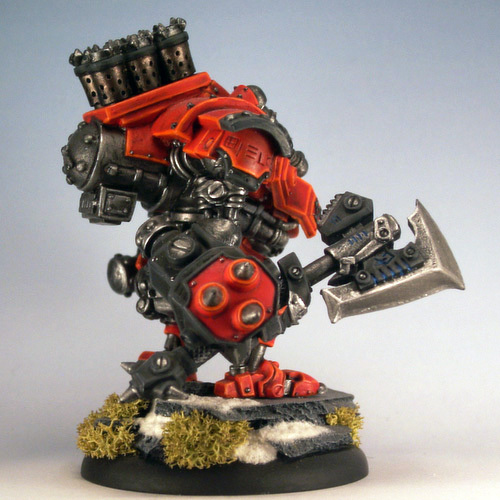 A single swing of his mechanikal axe Sunder can fell entire units as he wades into close combat with his warjacks in tow. 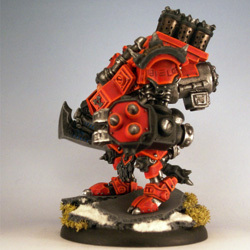 Nothing short of the most advanced firepower can slow the unstoppable force that is Karchev.